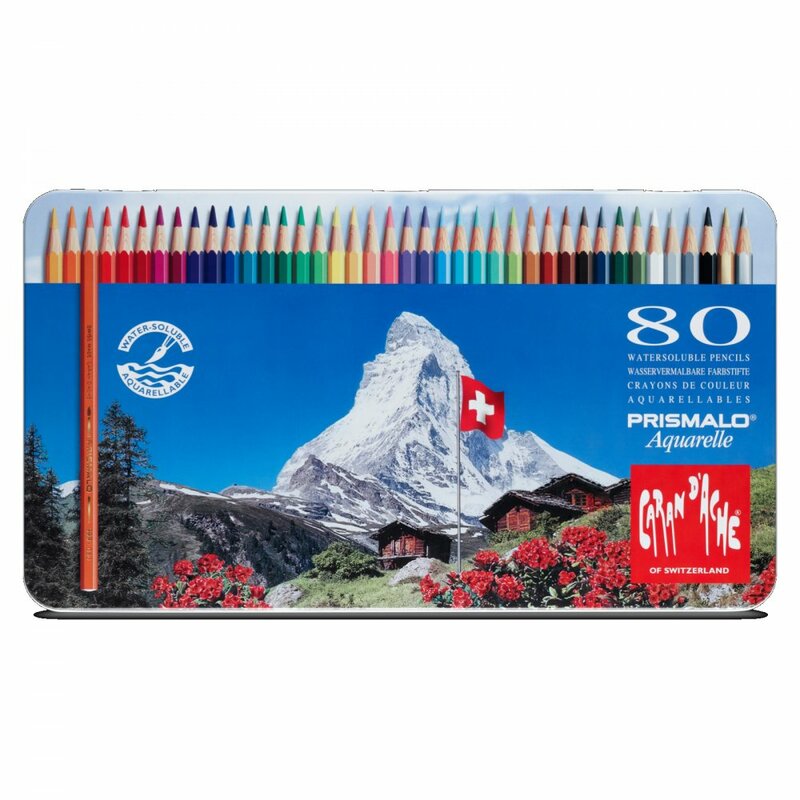 This Prismalo tin contains the entire range of 80 colours. Prismalo water soluble pencils are the preferred watercolour pencil for artists, architects and graphic designers due to their fine hard lead - leading to increased accuracy and outstanding light resistance. Being both water soluble and having a harder lead means they are a very versatile pencil that can be used for many techniques such as hatching, wash drawing, scientific drawing and watercolour works to name a few. Manufactured with a hexagonal barrel for increased control out of premium FSC certified cedar wood these are some of the finest water soluble pencils available. These are my favourite watercolour pencils. I had a small set for about 5 years and this was a great price for all 80 colours. They are a pleasure to use dry or wet and they layer and blend beautifully.